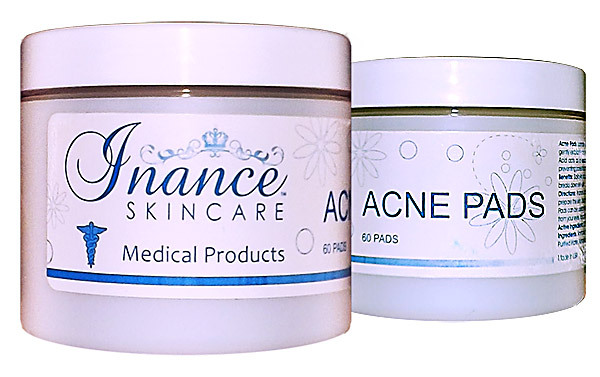 Inance Homecare Acne Pads contain Salicylic Acid (beta-hydroxy acid) to penetrate and clean your pores, glycolic acid to gently exfoliate your skin and reduce clogging and a nonionic surfactant to breakdown the skin oils. Salicylic Acid acts as a keratolytic agent; it causes the cells of the epidermis to slough off more readily thereby preventing pores from clogging and becoming infected with bacteria. 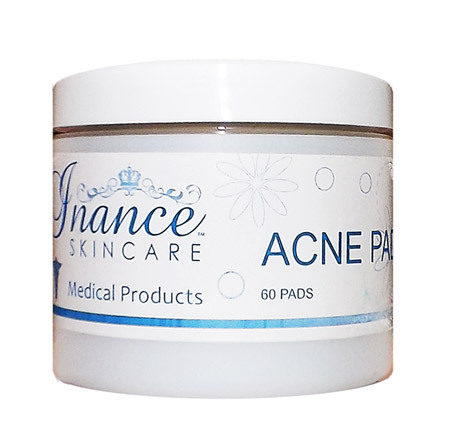 Inance acne pads are sold in containers of 60 pads. First, use Inance Cleanser and Toner to prepare the skin. 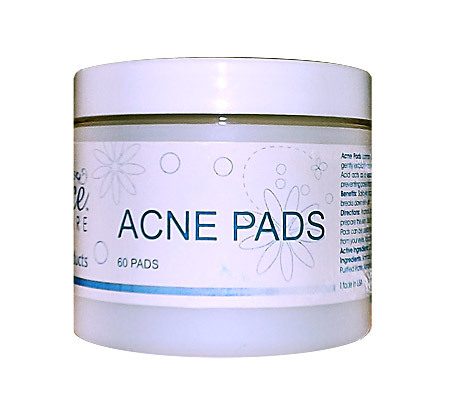 Use the acne pad to wipe the entire affected area. Do not rinse off medicine after treatment. Pads can be used more often throughout the day if tolerable. Stop usage if irritation occurs. Keep pad away from your eyes, lips and other sensitve areas. Active ingredients: 0.5% Salicylic Acid, 15.3% Glycolic Acid. Ingredients: Ammonium Hydroxide, Edetate Disodium, Ethyl Alcohol SD 40, Propylene Glycol, Purified Water, Nonoxynol 9.